Barber Jon first opened the World Famous Barber Shop in 1995 with a vision for more than just cutting people’s hair. He wanted to create a gathering place for the community where everyone is welcome, and when they leave, they can’t wait to come back. World Famous Barber Jon’s is a place where you hear your name called when you come through the door. Parents wouldn’t dream of taking their kids elsewhere. Businessmen, firemen, policemen, politicians, news anchors and community pillars are all found right here at World Famous Barber Jon’s. Our barbers are the best in town. Some of our barbers have been with Barber Jon for many years. World Famous Barber Jon’s Barber Shop in El Dorado Hills is proud to support many charities and community support events throughout the year. Over the years Barber Jon has continued to show his love and support to just about every local community and he will continue to do so for years to come. After 20 years, World Famous Barber Jon’s Barber Shop is taking the next step forward to a new location in El Dorado Hills. 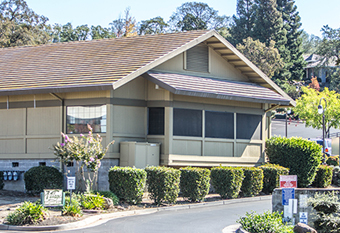 Now located at 881 Embarcadero Drive, El Dorado Hills, CA 95762, the new shop offers more space and an updated barber shop. Below are some great new additions and features to the barber shop. If you ever wondered what’s happening in El Dorado Hills, just stop by the Barber Shop and ask. 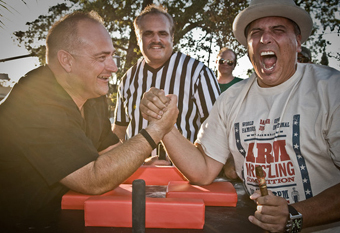 From Arm Wrestling Competitions to Hot Dog Eating contests and everything in between, this barber shop does it all. If you would like to join in on an up-coming event, just stop by the shop and let’s talk. If you would like to get in touch with World Famous Barber Jon’s Barber Shop regarding Events, Charity Support or anything else, please contact us though our website or stop by the shop today. We are more than happy to help the community in any way we can. After opening the barber shop doors in 1996, World Famous Barber Jon’s has been one of the pillars in the El Dorado Hills community. 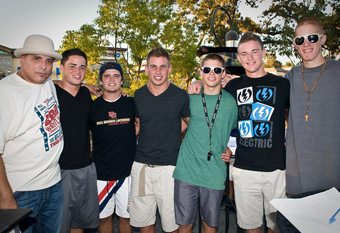 We treat everyone like they were long time friends and family members and would like to be a part of the next amazing event El Dorado Hills has to offer. Stop by or give us a call today to find out more information on upcoming events and community support from Barber Jon’s. Next to the El Dorado Saloon.